Racial hierarchy and inequality still exist today, but Jim Crow is gone and the public, socially sanctioned violence that defined the lynching era has largely disappeared. Which may lead some to ask why? Why dwell on this painful period of American history? Why fight to bring this unspeakable violence into the national consciousness? And why work to integrate it into public memory when lynching remains an incredibly fraught metaphor for racial conflict, with heavy symbolic baggage that weighs on any conversation around the subject? The answer is straightforward. We live in a moment when racism—explicit and unapologetic—has returned to a prominent place in American politics, both endorsed by and propagated through the Oval Office. 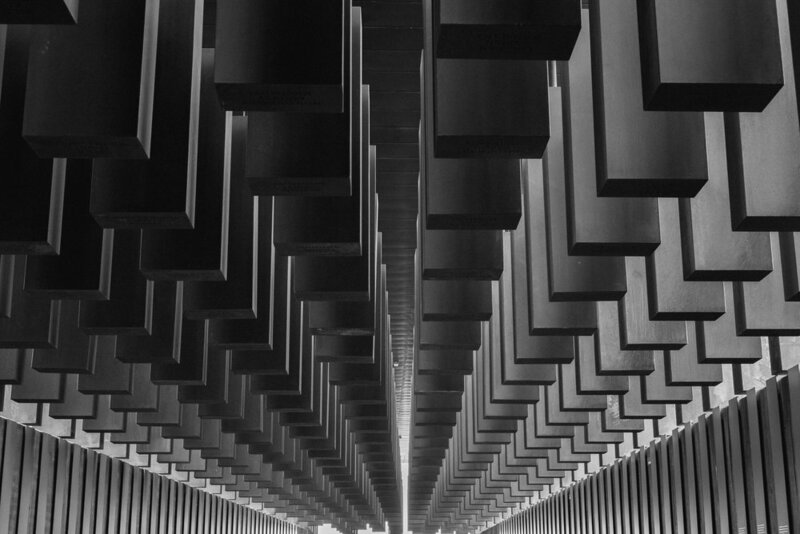 And in that environment, a memorial to racial terrorism—one which indicts perpetrators as much as it honors victims—is the kind of provocation that we need, a vital and powerful statement against our national tendency to willful amnesia. I also took photos. A few of those are part of the essay, and you can view them at the link. This, I think, is the strongest of the batch.